This video explores David's hand planing techniques for precise, efficient preparation of furniture-size components. You will be astonished by the precision that is possible with a well-tuned, sharp hand plane. 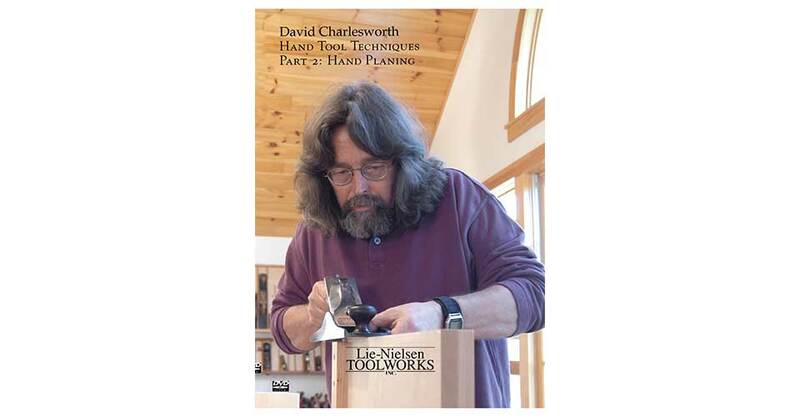 This second video explores David's techniques for hand planing. 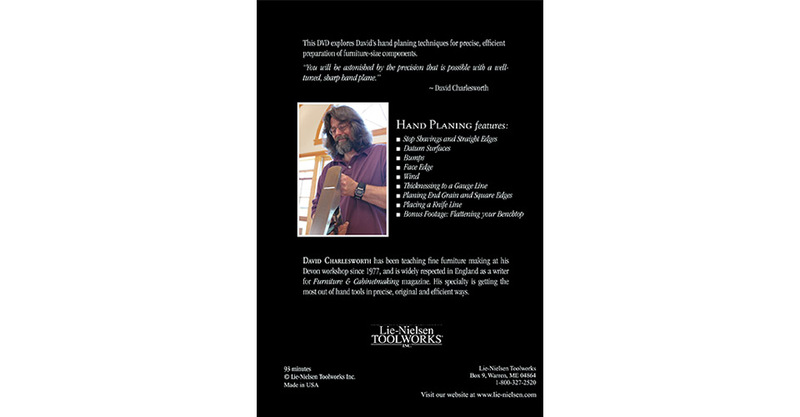 To see a review of this video by Jeff Zinsli, editor of Northern Woods Newsletter, Click HERE. If you need Adobe Acrobat Reader, click here. 93 minutes, DVD. Lie-Nielsen Toolworks Productions, 2005.